This week has been a rather busy one for me with not only having quite a few appointments and things to do. I decided to set up my own book club over on Facebook called Hooked on Books with Joanna Victoria. I've finished last weeks book off and I have been dipping in and out of Blogging your way to Riches by Emma Bradley and Lynn James. If you are new to blogging or are thinking of setting up a blog than this book is ideal for you. If like me you have been blogging for a while now than you may find some useful information depending on how advanced you are. For me the section of SEO (Seach Engine Optimisation ) is very helpful as it's one area I've not really focused on and wish I had. 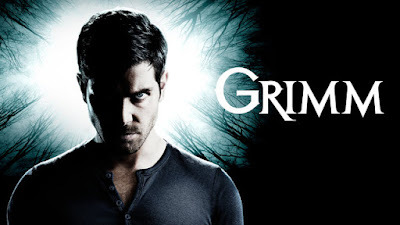 I've recently started watching Grimm as it popped up as a reccomendation. I've only watched the first 2 episodes of season one and liking it so far. If you enjoyed Once upon a time you may like Grimm as well. There are 6 seasons on Netflix with 22 episodes each apart from season 6 which has 13 episodes. Disney songs have been stuck in my head this week so I caved and listened to Disney songs on spotify. It's my Mums's birthday today, and we are seeing her tomorrow for lunch out. Blake and I made a super cute hand print flower craft as a little gift to give my mum. I found the idea over on Pinterest and am so glad we gave it a go. 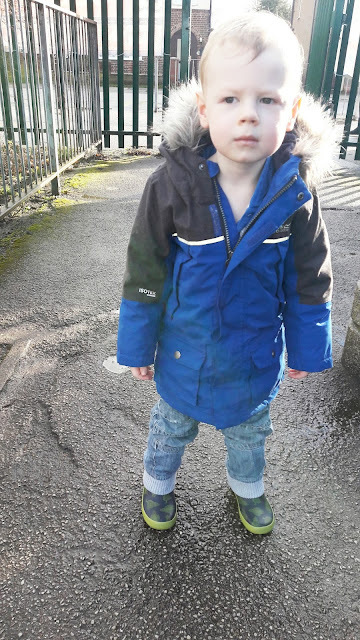 We got wellies out for Blake this week as there was a day of it being wet and muddy. Unfortunately we had a meltdown with getting them on from Blake who refused to even walk in them to begin with and when he did it was so funny seeing him walk so stiff like a robot. As for me I've spent most of the week in jumpers as its been so bitterly cold. After discussing with a few other bloggers on ways to improve my blog. I decided to purchase a new theme with pipdig. To save me much needed time they will be installing it for me over the next few days or so. I really love the sound of the book about blogging, I am going to have to get myself a copy. I love the early seasons of Grimm, I need to get caught up again though! Grimm sounds like a good series. I'm looking for a new one to start so might give it a go! I've got a pipdig theme and love it. It's super easy to play around with and customise. You will love yours too I'm sure.